This Credit Risk Modeling Course comes with 3 hours of HD video tutorials and Lifetime Access. 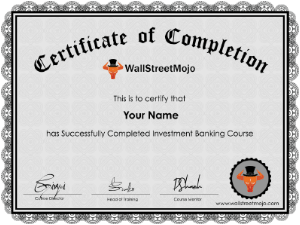 Along with this professionally made training program, you get verifiable certificates for this credit risk course! A credit risk model tries to answer the question – “what is the probability that a debtor will not pay off the money he owes to the creditor?” This is an important question for a business. If you’re in finance, this is an important question for you as a professional. And knowing how to answer this question will always do the trick. This Credit Modeling Course is designed for students and professionals who want to master credit modeling skills. These tutorials start from the basic and train you on intermediate/advanced concepts using excel based practical case studies. Pre-requisites of this Credit Risk training? Introduction The very first section will talk about the credit risk course. It will familiarize you with how you can measure the credit risk and how you would be able to create a model that would work in your favour. This section is especially for those who have very little idea about what to expect from this entire course. Traditional Credit Models The time is evolving and with the evolvement of time, the concepts, theories, ways of looking at each factor of business has also been going through dramatic shifts. Traditional credit models are models which had been used earlier to come to a conclusion. That’s why you need to know them in detail. This section will take you through most of traditional credit models. Example of Traditional Credit Models To understand a concept fully, you need practical examples along with comprehending the theory. If you only learn theory, learning wouldn’t be complete and you wouldn’t be able to learn anything that you have been learning. That’s why this section stresses upon the examples of traditional models. Whatever you learned in the previous section will be applied here. The key is to look at them and practise on your own to crystalize the learning. Along with that you will also get an overview of structural model of credit risk which will give you an idea about how structural model of credit risk is implemented in real industry settings. Example of Structural Model of Credit Risk In this section, you will learn the application part of the structural model of credit risk. Since without looking at practical example it would be impossible to understand the model at all, this section stresses upon the need to exemplify whatever you have learned in the previous section in detail. Altman Z-Score This section is important because we are entering one important model that is being used in many industries. First, you will learn about the Altman Z-Score. Then you will get to understand how you can calculate Z-score. After than you will learn how you would apply the same in the airline industry. To make it more commendable, you will also go through a case study of the US airline industry. Finally, you will get to know the credit rating descriptions of the airlines. Credit Analysis In this segment, you would be learning about credit modeling in detail. 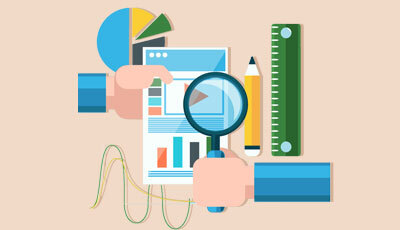 You will also learn how to evaluate in credit modeling and you will also look at the evaluation metric. You would also get to know what to look at as an early warning checklist in credit modeling. UFCE and WC Modeling In this section, you will learn about two concepts basically. First you will learn about UFCE Modeling and then you will get to know about WC Modeling. You can already see how comprehensive the whole course is. Financial Statement To get a holistic picture of credit risk modeling, you need to understand financial statements as well. And you will also need to see how they are prepared and how they are relevant in the world of business. In this section, you will learn about the financial statements and how you can analyse them to reach a conclusion. Ways out Analysis and Internal Ratings Finally, you will learn the ways out analysis in detail; and you will also understand internal ratings in credit modeling. The best part is that this course doesn’t leave out anything. You will learn exactly what you need to learn and after doing this course, you will be equipped enough to implement what you would learn in this course. Willingness to do this course: This is the first requirement. Irrespective of your background, the result of this credit risk modeling course is dependent on your willingness to do this course. Browsing through the course is easy. What’s hard is to practice what you learn. Your commitment toward building a new skill is key requirement for this course. Basic knowledge in Microsoft Excel: To get the best out of this course, you at least need to have basic knowledge in Microsoft excel. As you need to use Microsoft excel to build models, you need to know the basics of the Microsoft excel for doing this course. 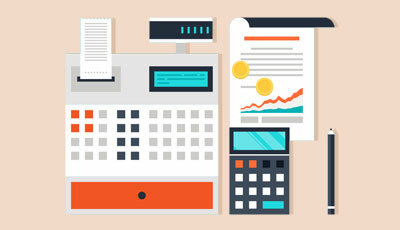 Basic knowledge of accounting: It is expected that you know the basics of accounting. If you don’t know anything about accounting, it would be difficult for you to understand the nitty-gritty of this credit risk course. First, know the fundamentals of accounting. Then do this credit risk modeling course for the best results. Basic knowledge in financial modeling: This isn’t mandatory, but knowing a bit of financial modeling will certainly help. A device and an internet connection: You need to have a device to learn this course. It can be a smart phone or a tablet or a laptop with an internet connection. You can also view this entire course offline if you go for the annual membership. Students of finance: Students who have been pursuing finance can do this credit risk modleing course. If they have a knack of building models or if they want to choose a career of financial analyst / research analyst, they must do this course. This course is power-packed with actionable concepts and the knowledge can be applied immediately. MBA/BBA/B.Com. Students: Even students from MBA / BBA / B.Com can go for this course. This credit risk modeling course would be quite relevant for them and they would build one of the most important skills they need in their professional life. People from technical backgrounds: Students or professionals from technical backgrounds also can do this course. Rather it would be easier for them since they have a good grasp in mathematics and statistics. Working professionals/Entrepreneurs: Working professionals who would like to learn credit risk modeling or who want to change careers can go for this course. Entrepreneurs who would like to know the credit risk of offering products on credit can go for this credit risk modeling course as well. Why should I do this credit risk modeling course? First of all, this course is so comprehensive that you would learn everything about credit risk modeling. Secondly, this course is pretty short compared to whatever it is delivering. You only need to invest 3 hours of your precious time and you are good to go. Thirdly, this course will not only teach you the fundamental concepts; it will also teach you the practical aspects of credit risk modeling so that you can apply immediately. Lastly, doing this course is so very convenient. You can do this course from anywhere at any time and you can learn the lessons on any device you have. I’ve no finance background or knowledge. Is this the right course for me? The answer is both no and yes. No, because unless you have a basic knowledge in finance and accounting, it would be pretty difficult for you to understand the nitty-gritty of this credit risk course. 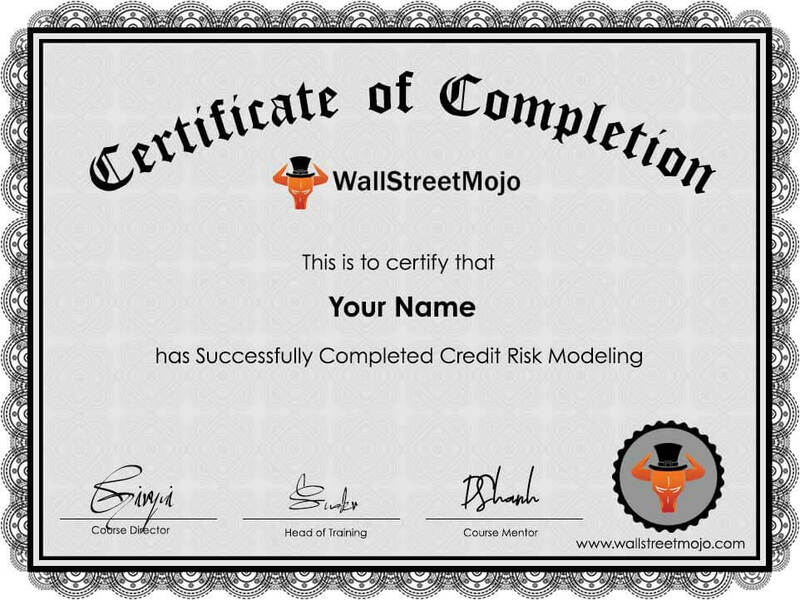 Yes if you take time to learn the fundamentals (if you’re so very interested) and come, join this credit risk modeling course. Where do the learners come from? Add tremendous value to your career: If you are already in finance profession, this credit risk modeling course would add tremendous amount of value to your career. By doing and practising this course, you would be in a better position to direct your career in the way you want. A short and flexible course that you can do in a weekend: Professionals often complain that they don’t have enough time to educate themselves. If you’re ever interested in credit risk modeling, this is the ultimate course for you. This course will just take 4 hours and you can keep the lessons forever. You would be ahead of your competition: Knowing an additional skill will always help. By choosing to do this course, you will always be ahead of your peers. This is one of the Best learning i have heard ,the tutor goes into detail of every scenario in credit analysis and Modeling especially in the financial statements analysis this is offers great tutoring and gives very practical engagement of the process this is also a good tutor,i give congratulations to him for a very well put together presentation. Looking forward to learn more. This credit risk modeling course is comprehensive. And takes into account all aspects of credit risk. Excel modelling was very beneficial because it gave hands on for working on real data and analyze and formulate the credit score of a company. various models like the Altzman Z score model proved to be robust for many sectors altogether. The credit risk analysis enabled me to understand how risk profiling is conducted by credit analyst in the financial lending sector. The interpretation and explanation of the altzman z score was beneficial to understand how the bankruptcy is predicted of companies, and based on the calculation.